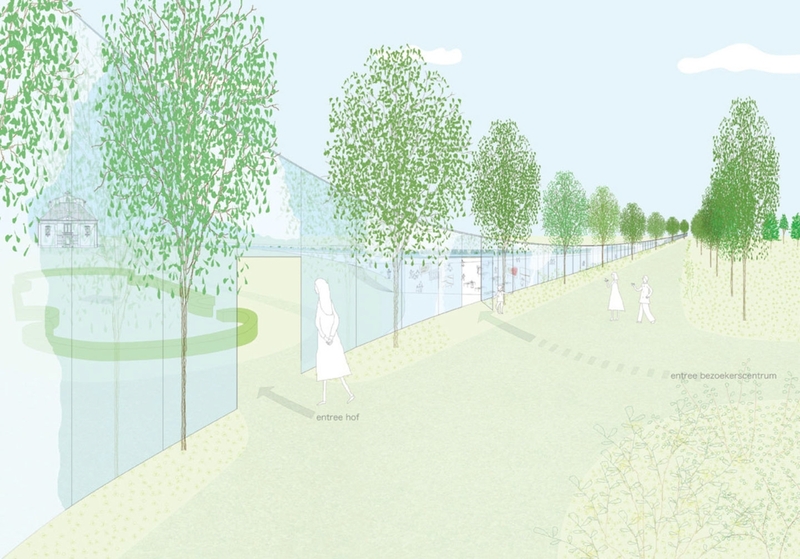 Junya Ishigami + Associates and Studio Maks have been selected for a set of Architectural interventions for Park Groot Vijversburg in Tytsjerk, The Netherlands. A quality of nature is that it is governed by certain rules which at the same time we’re never really aware of… I am interested in creating something that would merge into this normalcy that surrounds us. Park Groot Vijversburg, located in the north of Holland was established in the 19th century and contains a rich history of flora and fauna. A historical villa is centrally placed in the park. Throughout the year, the park hosts many events such as international exhibitions of contemporary art, musical performances, church services and excursions. 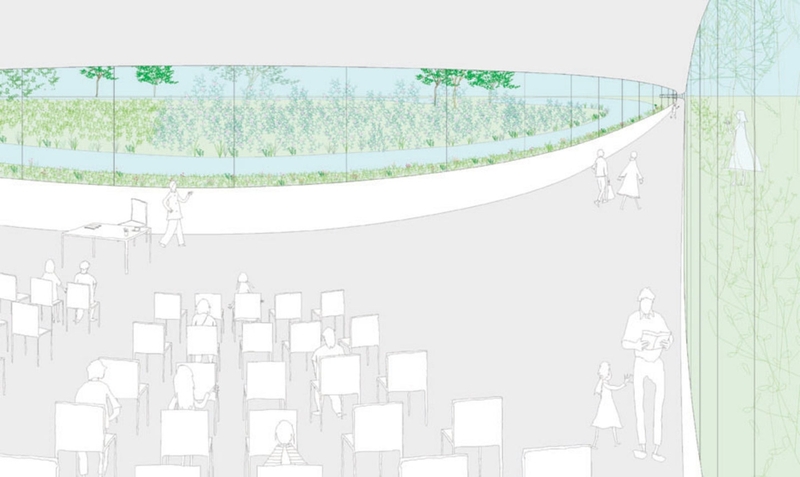 The goal is to design a new visitor center, renovate the historical villa, develop a floating stage for performances, and create glasshouses for the botanical gardens. 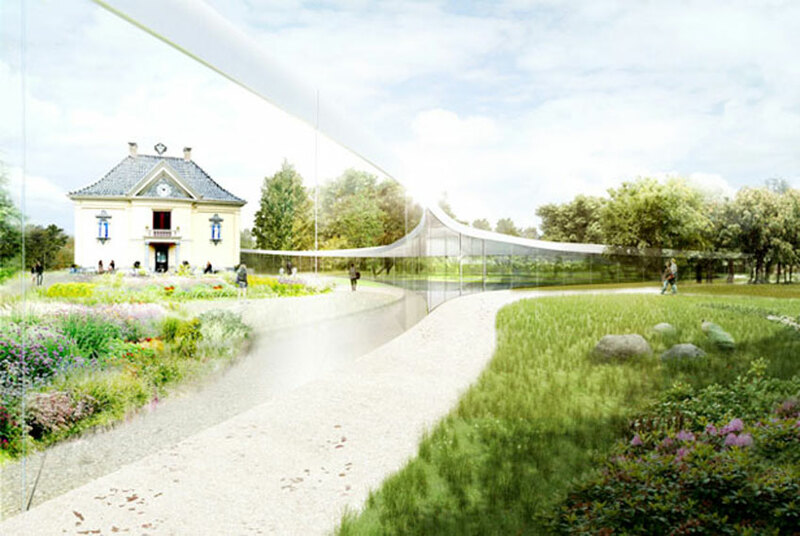 One of our main proposals is a visitor center, positioned next to the historical villa. In plan, the form is as if pulled tightly in three directions while maintaining a required main hall. As the main hall stretches, it gradually becomes a path – naturally transforming into a park trail. This slowly pulled wing loses its quality of interior space as one progresses along it, leaving only its wall, until it finally disappears into the park environment. 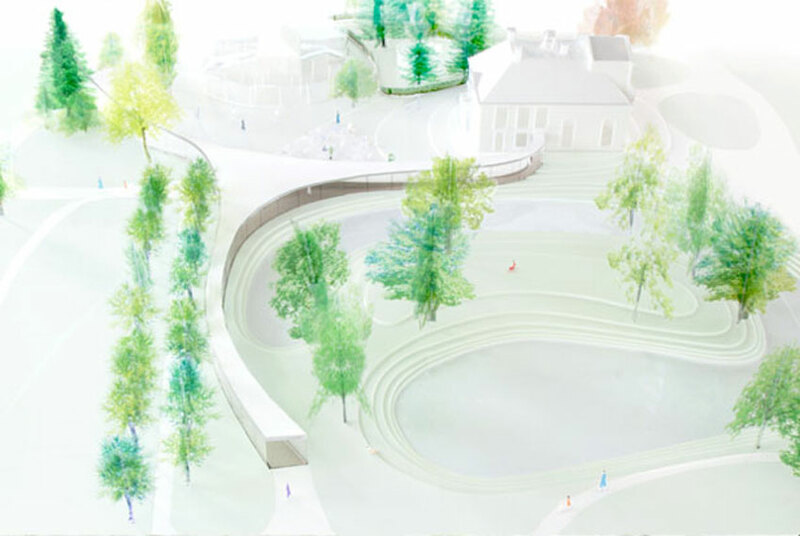 In this way, the building establishes a large scale similar to that of the generous park, and at the same time, the enclosed space provides small scale ambiance and intimacy. This is our aspiration for the new visitor center. This building is an architectural project, but it also can be imagined as part of the landscape. The visitor center, along with the other projects, is planned for completion in 2014. 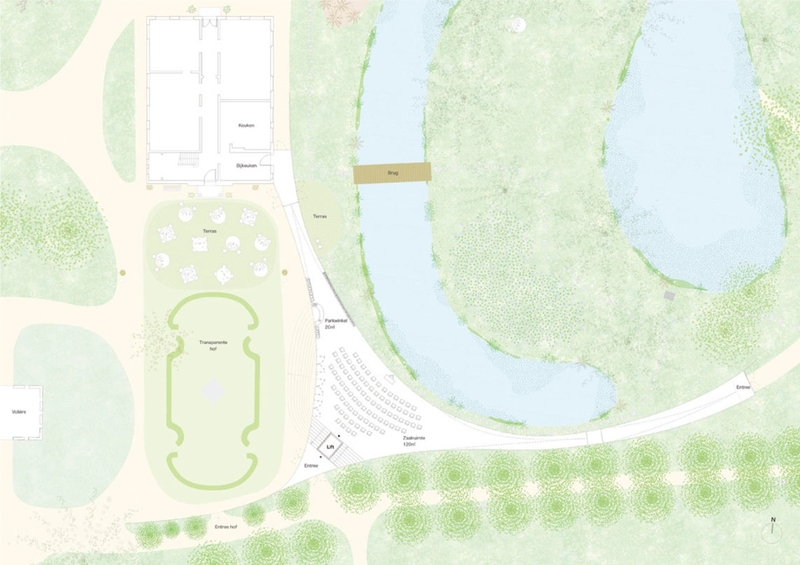 Parallel to the above projects, a Dutch team of LOLA Landscape, Deltavormgroep and Piet Oudolf will design a 15 hectares extension to the park. 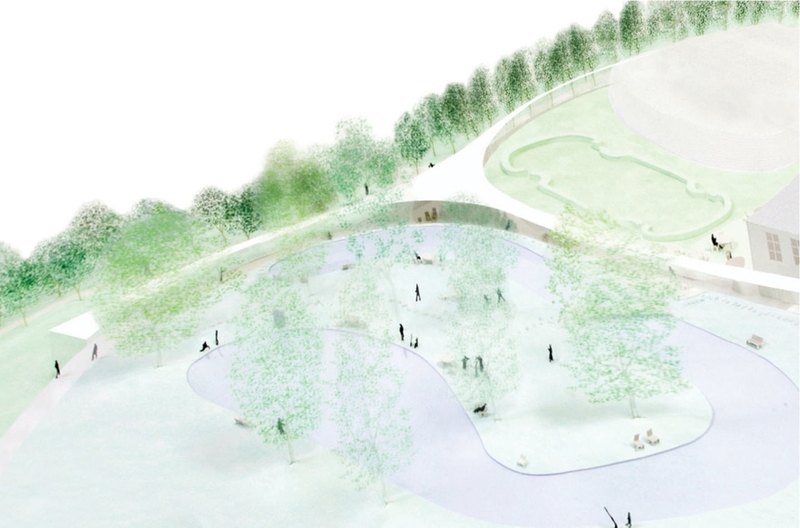 Tobias Rehberger, a German artist, was selected to create a second park extension including several new works of art. Park Groot Vijversburg was established in the 19th century and contains a rich history of flora and fauna. A historical villa is centrally placed in the park. Throughout the year, the park hosts many events such as international exhibitions of contemporary art, musical performances, church services and excursions. The visitor center is positioned next to the historical villa. In plan, the form is as if pulled tightly in three directions while maintaining a required main hall. As the main hall stretches, it gradually becomes a path – naturally transforming into a park trail. This slowly pulled wing loses its quality of interior space as one progresses along it, leaving only its wall, until it finally disappears into the park environment. 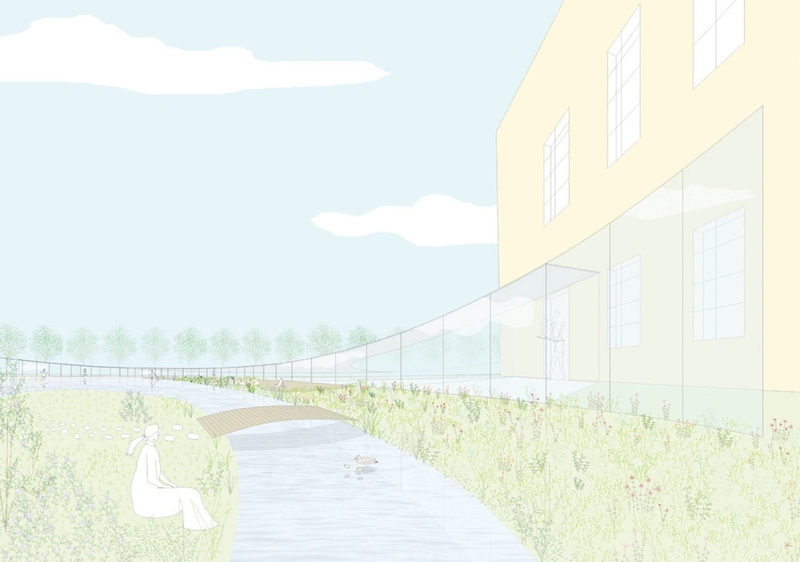 Cite this article: "Park Groot Vijversburg / Junya Ishigami & Studio Maks," in ArchEyes, January 25, 2016, http://archeyes.com/park-groot-vijversburg-netherlands-junya-ishigami-associates-studio-maks/.